of the EU international project! 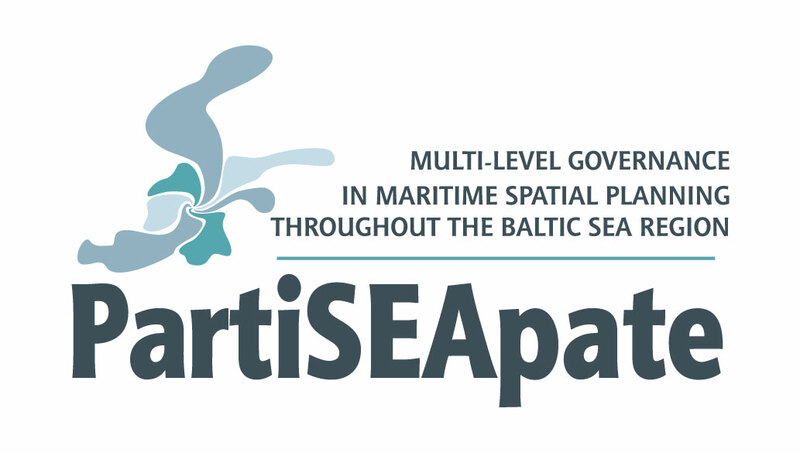 As the Lead Partner, MIG will oversee the PartiSEApate project being implemented under the Baltic Sea Region Programme 2007 – 2013. The Institute will also offer its expertise in Maritime Spatial Planning (MSP) and data management. It will assist in developing new tools for transnational stakeholder communication and facilitate transnational dialogue on new marine uses. MSP is the main tool for coordinating spatial use of the sea, balancing the interests of competing sectors so the marine space and resources are used efficiently and sustainably. MSP requires land-sea integration, transnational consultation, an ecosystem based approach and stakeholder participation. However, little practical experience and few examples are available, so the Baltic Sea Region bodies responsible for MSP have joined forces through PartiSEApate to bridge that gap. The project main goal is to develop a pan-Baltic approach to topics which spatial dimension transcends national borders (i.e. nature protection areas, grid connections, shipping lanes) and create transnational frames for mutli-level governance in MSP. Partners will develop a concept for the MSP institutional framework and governance model for coherent planning of transboundary issues (incl. transnational consultation and MSP data exchange network), which shall provide input to policy decisions taken at the ministerial levels in the BSR countries. The project will thus contribute to achieving the relevant targets in the Baltic Sea Strategy (EUSBSR Horizontal Action on Maritime and Land-based Spatial Planning) and the aims of the EU Integrated Maritime Policy. The project is composed of two pillars. The first one aims at practical testing of existing documents, guidelines and principles related to the cross-border maritime spatial planning such as:VISION 2030 endorsed by VASAB in 2012, Necessary common minimum requirements for Maritime Spatial Planning (MSP) in the Baltic Sea and the HELCOM-VASAB Baltic Sea Broad-scale Maritime Spatial Planning principles that were adopted by HELCOM and VASAB CSPD in 2010 and finally Data Recommendations produced by the BaltSeaPlan project realized under the BSR Programme 2007-2013. To that end the PartiSEApate project will have three pilot case areas: Pomeranian Bight (SE, DE, PL), Lithuanian Sea (LT, LV, SE, RU) and Middle Bank (SE, PL) to perform those tests and in order to find concrete working solutions for cross-border MSP. The second pillar is devoted to strengthening transnational stakeholder involvement in MSP throughout the Baltic Sea Region. The project will engage national and transnational bodies, other PACs and flagships, sectors and researchers in a dialogue on a pan-Baltic level on transnational maritime issues. Through a sequence of single-topic workshops (i.e. shipping, wind energy, aquaculture, cultural heritage, environment, climate change, data & research) stakeholders will understand better what MSP means to them and the transnational nature of their topic. In follow up cross-sectoral workshops synergies and conflicts will be identified and proposals for future MSP governance processes at pan-Baltic level will be developed. The findings achieved under two pillars will be merged and analysed by the MSP Expert Group composed of representatives from all the BSR countries including Russia. The Group will select the most important findings that should be brought to policy level and will assist in this task.